Rabbits are becoming increasingly popular as pets, living either outdoors in a hutch or as a house-rabbit. With the growing trend to keep rabbits in the home, behaviour problems that were not very noticeable in outdoor rabbits have become more apparent. Rabbits are very intelligent and learn throughout their lives, so can quite easily be trained. They tend to be quite cautious and reserved in their behaviour, but once you have gained their trust they make affectionate and rewarding pets. 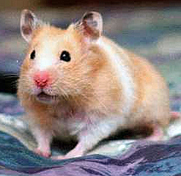 Rabbits and other small mammals such as mice, rats, gerbils and hamsters evolved as prey animals. They therefore have a natural predisposition to respond fearfully to any potential threat, usually by attempting to flee and hide, and if captured they may attempt to escape by biting and (in rabbits) by raking with their powerful back legs. All animals quickly learn to recognise the signs of an impending "threat", and may respond by running away for no apparent reason or with a "pre-emptive strike", giving rise to apparently unprovoked attacks. Rabbits are well-armed for defending themselves, so any attack directed at people or other pets can pose a significant problem and should be taken seriously. Because these animals became popular as domestic pets relatively recently, they have had less time to adjust and adapt to life with humans. Some behaviour problems are features of natural behaviour, which are inappropriate for the domestic situation in which the pet lives. With all animals, experience has a major impact on future behaviour. 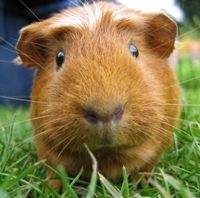 It is therefore essential to always ensure that your pet is handled gently and carefully. Remember that the instinct of any prey animal is to avoid capture - for these types of animals and birds, allowing them plenty of time to become accustomed to being handled will help to prevent fear-related problems. In all cases, a treatment plan is devised using only gentle, positive methods tailored to the species / individual pet involved. By using reward-based methods to teach the pet more appropriate alternative behaviour, many undesired behaviours can be reduced or resolved. In cases where aggression or fleeing is brought about through fear of a person, animal or object, a behavioural modification technique called "de-sensitisation and counter-conditioning" can reduce the fear and allow the pet to learn a more appropriate response. As with all animals, good early socialisation contributes vastly to the prevention of behaviour problems later in life, as it teaches the rabbit how to interact appropriately with the people and animals with whom it lives, and gently introduces it to the sights, sounds and smells it will encounter later in life, helping to prevent fear of these stimuli later on. The socialisation period for rabbits is uncertain, although studies suggest that it may begin at around four weeks of age. When choosing a pet rabbit, owners should look for one which has been gently handled regularly and frequently, ideally by many different people, from the age of about four weeks. Remember that the rabbit is a prey animal and therefore its first assumption is always that the new person / animal / object is going to try to eat it! Fear-related problems will develop very quickly as a result of a single bad experience, so anyone who handles a rabbit must do so very gently and carefully, and should allow the rabbit to approach in its own time. While the socialisation period is the optimum time for introducing a rabbit to the world, learning continues throughout life, so even a poorly socialised rabbit can be rehabilitated with behaviour counselling. It's never too late to help your pet, and I'm always happy to hear from you, so if your rabbit or small mammal pet is exhibiting any behaviour that is giving you cause for concern, please see your vet to rule out medical causes and to request a behavioural referral, then contact me to make an appointment.